Jesus - a Jewish man from first-century Judea - was perhaps the most influential person in world history. His life and beliefs sparked a movement that influenced the course of global civilization, and his teachings gave rise to a faith currently practiced by over two billion people around the world. And yet, as revolutionary and lasting as his ideas are, few of us think to ask: Where did they come from? It's important to realize that Jesus' actions and teachings didn't emerge from a vacuum. Rather, they were the products of a fascinating dialogue with - and reaction to - the traditions, cultures, and historical developments of ancient Jewish beliefs. 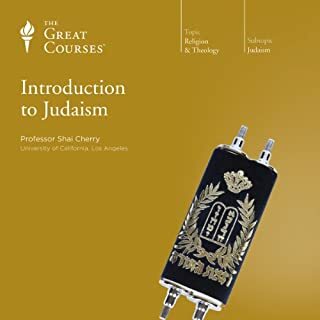 In search of a more complete comprehension of Jesus' legacy, this course explores fundamental questions such as: How was early Judaism different from the Rabbinic Judaism practiced today? What kind of world did early Jewish sects envision, and how does Jesus' worldview relate to theirs? How did events like the Babylonian exile and the reign of Herod the Great affect the development of Judaism up to Jesus' time? Follow an acclaimed archaeologist to unearth the roots of Jesus' actions and teachings within the traditions and beliefs of ancient Judaism. 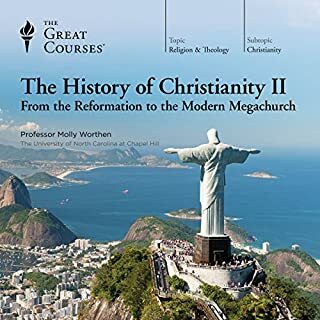 These fascinating 24 lectures approach the subject of Jesus from a historical rather than scriptural perspective - one rooted in ancient texts and archaeological discoveries. This investigation reveals hidden insights into how the tumultuous events of early Jewish history shaped an individual - and a movement - whose legacy endures to this day. What did you like most about Jesus and His Jewish Influences? The structure is rather satisfying in that individual chapters cover seperate topics that are interesting enough to standalone, but when stacked one after another - like lego - fit together to build a more and more '3D' model of the Jewish world and culture that shaped Jesus. It's quite an objective portrait that is neither Christian or Jewish in slant, but rather historical - insofar as that is possible for such a far-removed time. It's too obvious to say Jesus, so I'll give a special mention to Jewish historian Flavius Josephus, because he is such an important source for first century Jewish history, which was particulary violent and traumatic for the Jews and culminated in their sacred temple being destroyed. Interestingly, Jews themselves were not much interested in Josephus, being somewhat of a traitor, and as his writings were historical in nature rather than religiously inclined. Thus, it was Christians who preserved his writings. Which character – as performed by Professor Jodi Magness – was your favourite? The audiobook is historical in nature, so the characters are not 'performed' as such, but there are many important historical figures featured relevant to the Jewish story. And what a tumultuous story it is! Uprisings, conquests, schisms, exiles. Biblical Patriarchs, Assyrians, Babylonians, Persians, Greeks, Romans, Assenes, Pharisees, Maccabees, Samaritans, Galileeans. Whilst it's historical and academic, it still manages to be dramatic and fascinating with many colourful characters and villains. Emotional is probably not the right word, but I was certainly intrigued. Everyone will draw something different from this course based on their perspective, but I'd highly recommend it to anyone interested in Jewish history from early Biblical times leading up to the destruction of the Second Temple and/or anyone interested in finally getting to the bottom of what the enigma wrapped inside a riddle that is Jesus Christ was like. Or even just ancient history or religion in general. Some key questions you might have about him will be answered outright. Some other ones will probably spring to mind, but that's part of the fun of it. I found the narration irritatingly slow at first - almost patronisingly so. However, I came to appreciate the delivery and structure after a few chapters. There's a lot of info. packed into each chapter, and you need to concentrate to a certain extent to join up the dots. Long periods pass where Christ is not mentioned at all. Cultural and historical context is key. If you chopped Christ and Christian sources such as the New Testament out of this book, most of the audiobook would still be intact as a fascinating insight into Jewish history and culture - Torah, ritual purity, prophets, apocalyptic and messianic fervour, foreign rulers and persecution, exile, different sects such as the austere Essenes, ordinary peoples' lives etc. It's terrific. Although she is a secular professor it would seem, the series came across very unbiased and very relevant to the facts which I haven't completely be convinced the other professor have been doing amongst the other series. this is a very good listen. as a matter of fact it's the second time I've listen to this in a month. I really do recommend to all in all walks of life! These series of lectures will appeal to anyone interested in the historical background of both the Old and New Testaments. They compliment the lectures of Prof. Ehrman and also open up a whole new field of biblical studies. 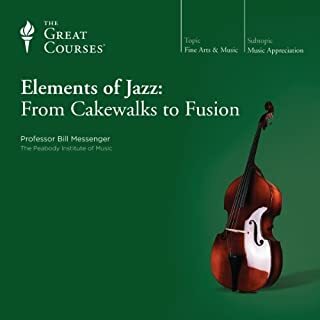 I just hope Prof. Magness is invited to do another series. A most most misleading title. Not entirely what I expected, but still a great course. 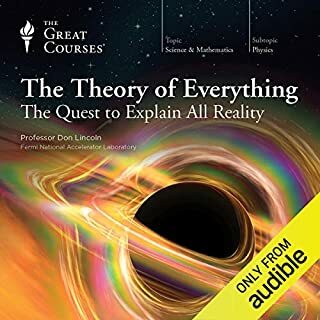 The professor is very knowledgable and keeps the course easy to follow, however I felt the title was a bit misleading. 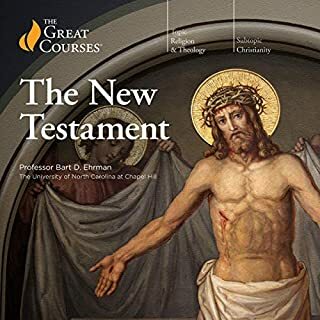 This course could easily have been called, "A History of Judea before Christ". 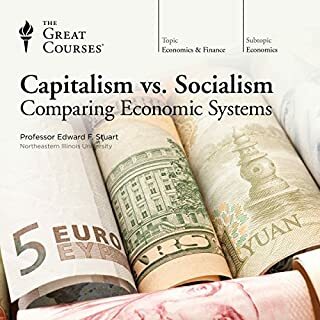 Very informative, but I though the professor would present a more concrete connection throughout the entire course. 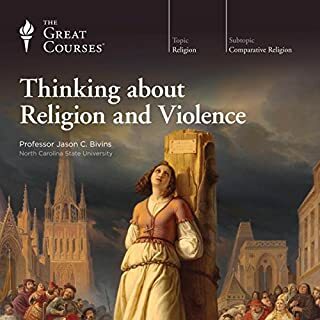 The title of the course led me to expect something different than it provided. 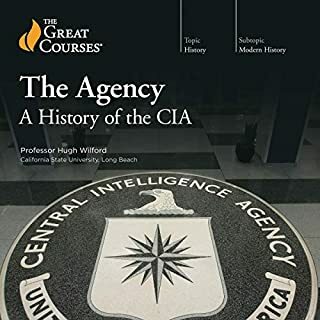 Most of the course is really just a survey history of the period, aimed at listeners approaching the subject for the first time. Only in the last lecture is the history utilized in a close reading of gospel passages. The penultimate lecture deals with questions of ritual purity in a thought-provoking way. 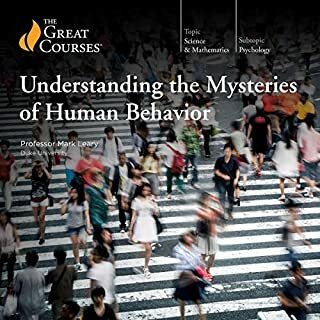 Each of those last two lectures could have formed the basis for an entire fascinating course; instead, at the end of the survey course we get what amount to a pair of half-hour teasers. When you hear the title of the course "Jesus and His Jewish Influences" you might think, "Another course on Jesus!" 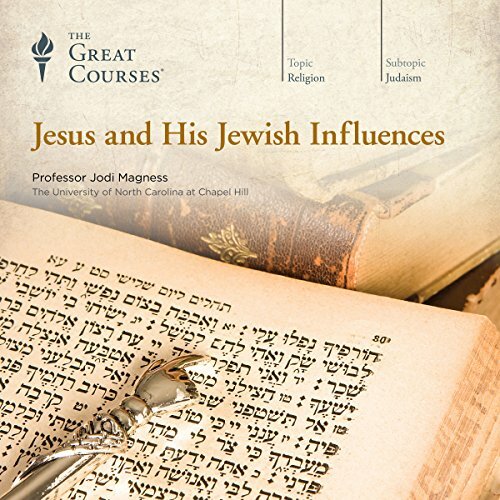 Prof Jodi Magness, Kenan Distinguished Professor for Teaching Excellence in Early Judaism, UNC at Chapel Hill, surprises with a course that is actually more about first century Judaism - of which early Christianity was a part - than about Jesus. In 24 half an hour lectures she introduces the listener to the Jewish world in which Jesus lived in. Early on you will come to understand the importance and significance of mountains to Jews, whereafter you will be introduced to a concise historical overview of second temple period Judaism. At the end of each lecture she will link it to Jesus. Some of the more interesting lectures to me, was that of Alexander the Great's Impact on the Jews (lecture 7), especially the parallels she drew between Alexander and Jesus. 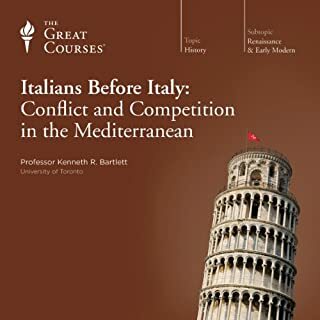 In Lecture 11 she challenges the general view that Jesus came from the lineage of David, arguing forcably that as a Galilean his forebears probably was forcefully converted to Judaism, similarly as what happened to Herod the Great's parents. In lectures to follow she discusses the various Jewish sects from which Jesus could have come. She looks at the arguments for and against these origins for Jesus. I found lecture 18 about Pontius Pilate also very interesting, as she properly de-romantised him and places him in a convincing historical context. 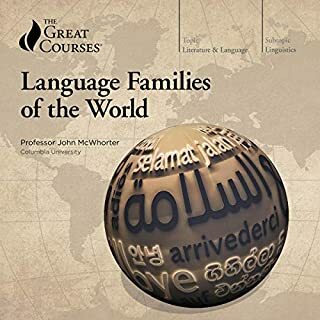 At long last The Great Courses guides are also available in PDF format for download after you have purchased the title. 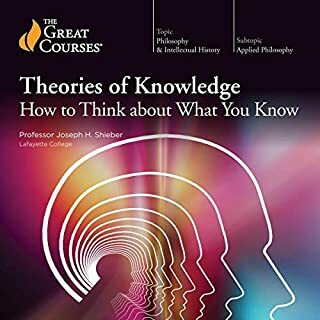 I found that the guide was a good refresher after listening to the lectures. It helps you remember and revise the contents. 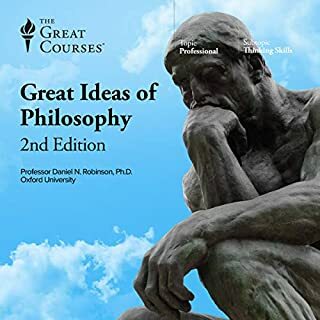 For each lecture it contains questions about the contents and reading suggestions. The bibliography has an added explantion to each book quoted or used in the lecture series. 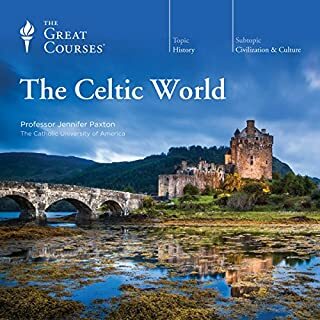 I though the guide was not only very helpful, it brings a new dimention to the way I listened to the lectures. Furthermore it is informative as a stand-alone book also. I can highly recommend this lecture series, as a window on the time around Jesus. It is just as important to understand Jesus' time as his words. Enjoy this listen! Who or what is a Pharisee? A Samaritan? Where else in the ancient world of the middle east do we hear a phrase like "Son of Man"? How many other great flood stories were floating around in the context of the Noah story? What were these temples, and where? I appreciate some Christian believers seem to be rolling their eyes and drumming their fingers waiting for a simpler story that neatly fits their limited cognitive maps of what Jesus supposedly was or is. Those with short attention spans need not apply. However, for me there is plenty of colorful story to keep my eyelids from drooping. This professor has a quality I admire, a wonderful clear cadence, scarcely ever fumbling. (I cannot stand a professor who inserts a lot of "uhhh" and "you know" in the delivery.) This has deepened and widened my comprehension of the ancient middle east considerably. All sorts of peoples and places and beliefs are discussed. The politics and religions of various dynasties and groups are made clear. It's well worth it! The lecturer kept me engaged throughout the course, exceptionally well prepared and presented , with this indepth account of the Jewish influences in which Jesus carried out his ministry. 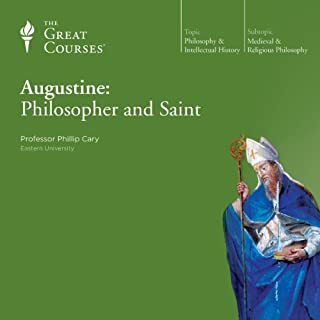 Entire course is well founded in solid scholarship of early Judaism and early Christian thought. 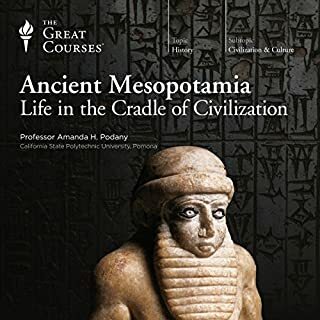 Professor Magness is not the most dynamic of The Great Courses professors, but the insights, scholarship, and organization she brings to this series are outstanding, making it a fascinating listen. Whether you are religious or not, whether you are Jewish or Christian or Muslim, if you are at all curious about how history is made, you will surely find this series riveting. 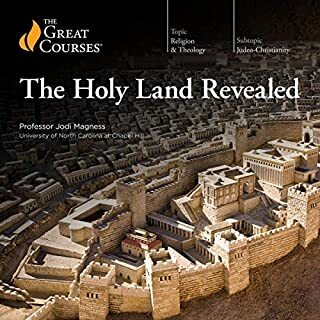 I thought I knew a few things about biblical Israel, Roman antiquity, Jesus and ancient Judaism... but Professor Magness pulls it all together into a context that makes all of it make sense. these lectures provided an excellent background to ancient Judaism. However, there is very little about Jesus in it by comparison. Almost all the lectures are focused on an aspect of Jewish history with a tiny tiny tiny bit of Jesus put in at the end of each lecture. 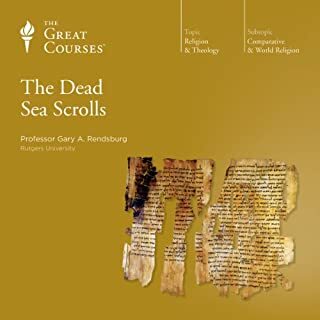 The very last lecture is almost all about Jesus, although the Dead Sea Scrolls also play a prominent role. I don't necessarily agree with the professor's conclusions, but that's not the problem. It's really that the lectures are mistitled. It's really Judaism with a tiny bit of Jesus stuck on. a lot of good information on the Jews before and after Jesus but not much relating specifically to Jesus. what there was was excellent but only a few chapters. If you could sum up Jesus and His Jewish Influences in three words, what would they be? What was one of the most memorable moments of Jesus and His Jewish Influences? An excellent in depth history of the Jewish people. But it was not what I was looking for.